With India slated to become the fourth largest automobile market in the world over the next five years, a host of Chinese automobile manufacturers such as Jianghuai Automobile Company, Brilliance Auto, Chery international, Build Your Dreams and Beiqi Foton are all exploring opportunities to set up shop in the country. 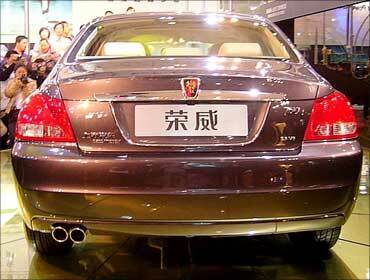 An industry source informed, "A lot of cross-pollination is going to happen between the automobile industries in India and China. 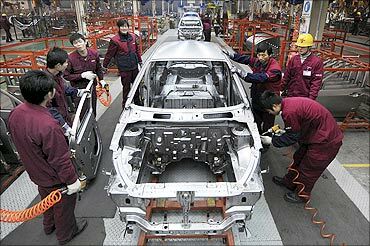 Shanghai Automotive Industry Corporation has already made an entry into the market here and manufacturers such as Chery, Brilliance, JAC, BYD and Beiqi Foton are working out modalities to start operations. These companies have products which are a strategic fit for the Indian market. Some of them have already made enquiries regarding the vendor base available in India for starting operations here." Emails sent to the companies did not elicit any response till the time of going to press. The Indian automobile market increased by 30 per cent to register sales of 2.4 million vehicles in 2010. According to a study by Booz & Company, the market here would more than double to produce six million vehicles by 2020. Eyeing the growth potential in what is now the world's second fastest automotive market, China's largest exporter of passenger cars, Chery International, is understood to be evaluating prospects to enter the Indian market. Brilliance Auto, which markets passenger cars under the 'Brilliance' brand and mini buses and cargo vans under the 'Jinbei' label, is also gearing up to make its foray here. JAC makes passenger cars and recently launched an electric vehicle, Tong Yue, in the Chinese market. 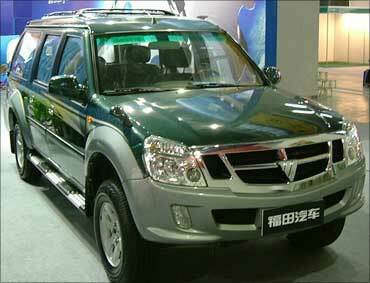 China's largest commercial vehicle manufacturer, Beiqi Foton, is considering setting up a facility in India shortly. Industry sources say it has already done a feasibility study. The company has made enquiries regarding growth prospects in the Indian commercial vehicle industry and held talks with component manufacturers to determine the supplier base available for manufacturing vehicles locally. A final decision, however, has not been taken on whether the company would look at entering the country independently or through a joint venture. 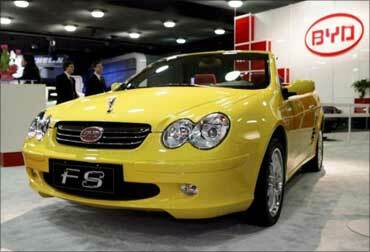 Foton is likely to be the second Chinese automobile company to enter the Indian market after SAIC. The latter, present through a partnership with General Motors in the Indian market, is working on introducing five new models in the country by 2013. Foton Motor, a subsidiary of Beijing Automobile Group Co Ltd, is the world's second largest commercial vehicle manufacturer after Daimler. 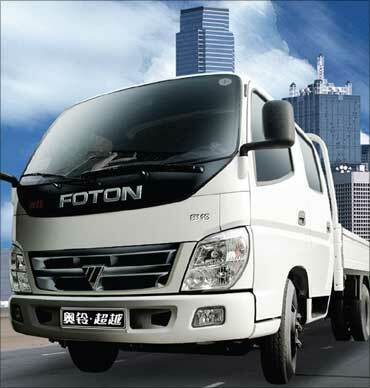 Foton Motor sold 682,800 vehicles in 2010. BYD Auto sold 520,000 passenger cars in China last year and is expected to make a major entry in the US market in 2011 with plug-in hybrid and electric cars. After coming into the limelight, BYD got the attention of maverick investor Warren Buffet, who has forked out $230 million to pick up a 10 per cent stake in this company. The company is a subsidiary of a rechargeable battery maker.